Two volumes in one. With detailed comments by Glareanus and other humanists. Large signature crudely removed from title-page. 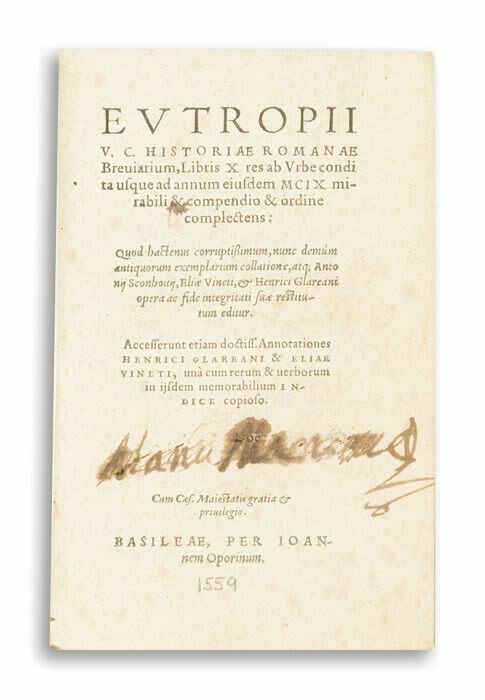 Eutropius’ Historiae is a thorough history of Ancient Rome, from the time of the city’s founding until the reign of Emperor Valens, during which time the author lived.